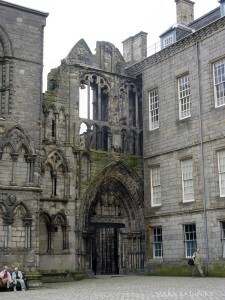 This simple vault was build after the eastern parts of the Abby Church , enclosing the Royal tombs , was Destroyed by the english army in 1544. 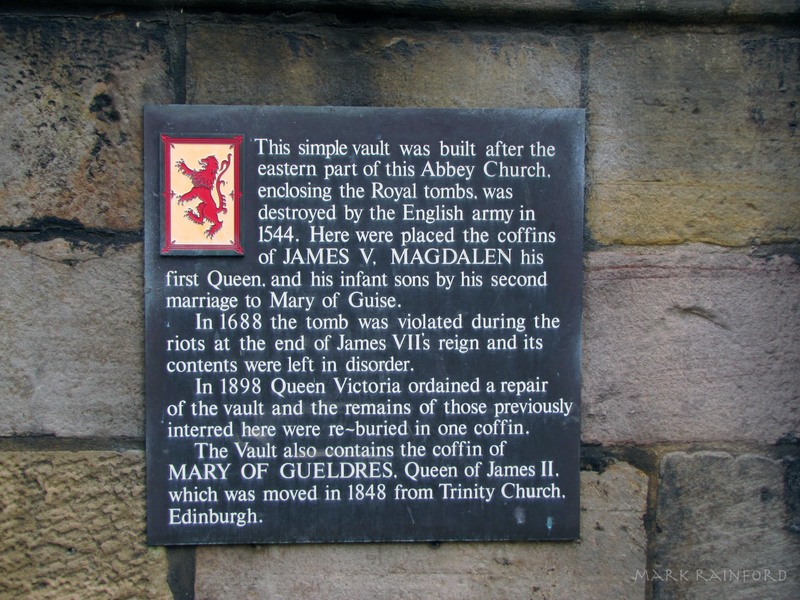 Here were placed the coffins of JAMES V, MAGDALEN his first Queen, and infant sons by his second marriage to Mary Of Guise. 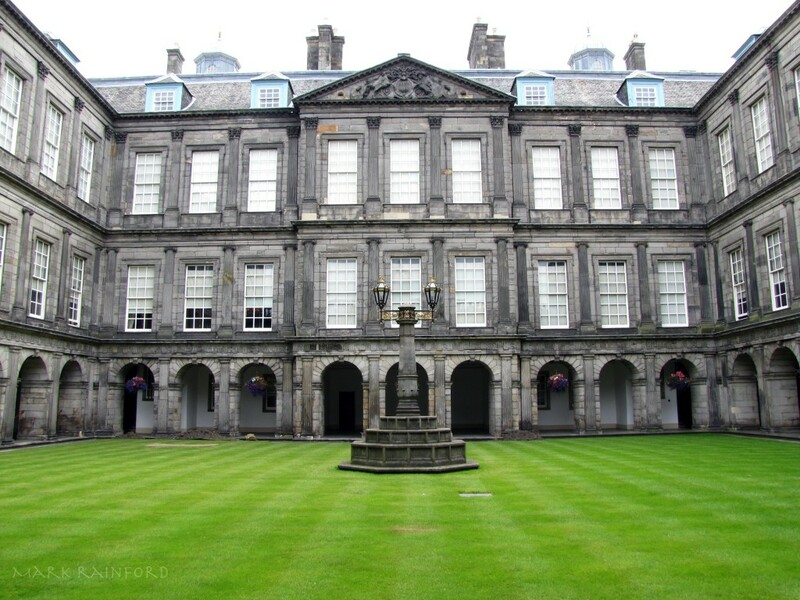 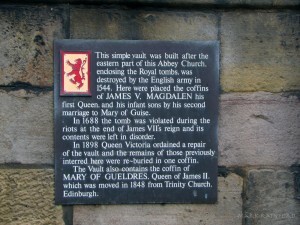 In 1688 the tomb was violated during the riots at the end of James VII’s reign and its contents were left in disorder. In 1898 Queen Victoria ordered a repair of the vault and the remains of those previously interred here were re-buried in one coffin.